The Westbrook House, located in Fairview, Texas, was designed by Paul and Elena Westbrook. The builder was Enviro Custom Homes. 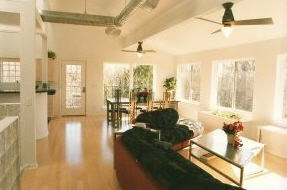 The design won the 1996 NAHB Energy Value Housing Award for Innovative Design in a Warm Climate. The house uses about 1/3 the amount of electricity and 1/10 the amount of water as a conventionally built similar sized house.